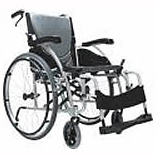 Rehability has a range of lightweight manual self-propelling and attendant pushed wheelchairs. Our trained occupational therapists provide wheelchair assessments for manual wheelchairs, postural seating and powered wheelchairs. 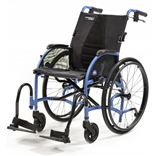 The Karma Sparrow is a lightweight, easy to use wheelchair which offers outstanding value. It has a folding frame and back with puncture proof tyres. 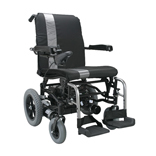 It has a fixed armrest and footrest and weighs from ll.7kg. 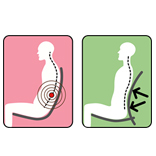 The Karma Ergo´s new S-curved seat relieves pressure and improves posture. It´s lightweight frame is made from aircraft grade aluminium. It´s footrest swings inwards and outwards and can be adjusted. The angle can also be adjusted. The new Karma Ergo Traveller is a lightweight, compact, manoeuvrable power chair which now incorporates Karma´s patented S-Ergo seating system. It is compact enough for indoor use but powerful enough for outdoor use. 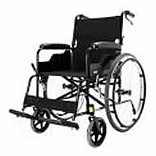 The concept behind the design of the power chair was to make it as light as possible and convenient to transport. The S-Ergo system (intelligent s-shaped ergonomic seating) provides efficient pressure relief by spreading weight over a greater area, at the same time provides stabilization and reduced sliding. The Ergo Traveller can be taken apart quickly and easily into four manageable components. The heaviest part weighs just 24kg. The quick release battery box has a convenient charging point built into it, which allows the batteries to be charged away from the power chair.